This is a Japanese voice patch for Alternate Start - Live Another Life by Arthmoor. Japanese voice is edited faithfully according to the original voice editing. This file does not contain any LAL original assets, so you need to download the original file and you need to translate into Japanese separately. SSEEdit by ElminsterAU and SSEEdit team http://www.nexusmods.com/skyrimspecialedition/mods/164/? 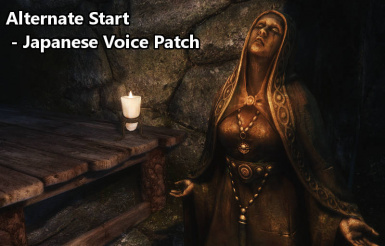 Japanese Phonetic Text Converter http://www.nexusmods.com/skyrim/mods/83033/?